While there's a strong chance most readers have never heard of the mobile phone technology known as PHS, we bet a few ears will prick up when we reveal that a new implementation can offer download speeds well into wired broadband territory. 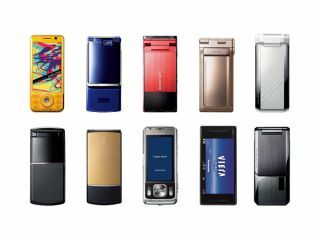 The Japan-developed technology has been around for almost twenty years but has long been marginalised by GSM and other wireless standards. However, a recent upgrade promises connections at up to 43Mbps. XGP (eXtended Global Platform), as it's called, is an extension of the existing Personal Handy-phone System (PHS) that uses networks of micro cells that are much closer together than standard mobile phone towers. The result is better call quality and that impressive data throughput. To promote the new version of PHS, 39 firms, including Hitachi, NEC and Toshiba, have formed the XGP Forum with a view to getting the Asian technology better known in the rest of the world. With US and Chinese companies already onboard, it seems likely that XGP will have a chance of success in new territories, but we predict that it will be as a way to offer data-only services for laptop users, rather than as an option for voice calls.